What are some of the latest advancements happening at Linneaus Univeristy? 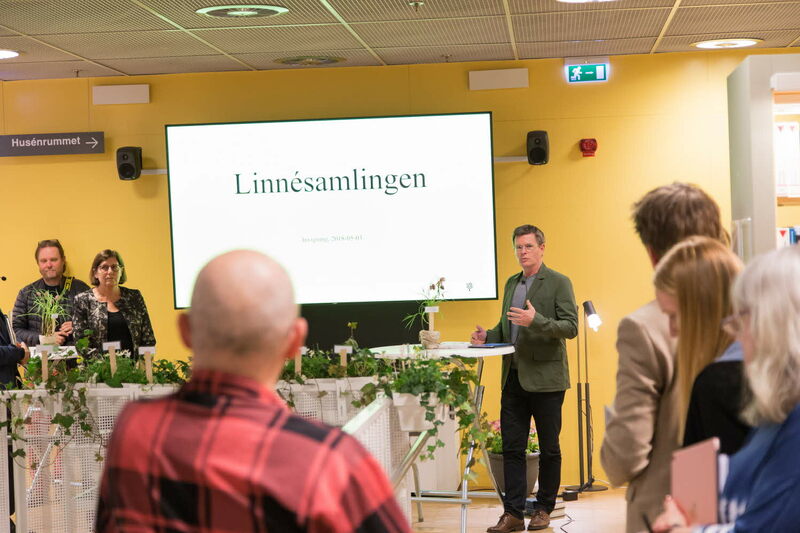 The OmniSpace area at the University Library is the place on campus where we can see how Linneaus univeristy is making a difference. Teachers, researchers and students can share their work and inspire the public through open lectures and films. Staff and students at Linneaus University have the opportunity to book OmniSpace for an open lecture or to present current research and work. In Växjö the OmniSpace area is on the first floor (the main level) at the University Library. We recommend that you take a look at our guidelines and recommendations for booking the OmniSpace area. If you would like to request a booking please fill in the form below. Fill in the form to send a booking request. Staff, students and student associations can share content on the OmniSpace screen. Certain protocol needs to be followed- you can find our guidelines in the link below. Fill in the form to contribute with content. The OmniSpace screen is active during the library's open hours. However, the screen is not active for a few weeks during the summer (weeks 27-32).